Where to go for Christmas? As adults, determining where to go for the Christmas holidays becomes an intricate and interesting exercise, one that my girlfriend, Nadia, and I find ourselves discussing every year. Do we host, inviting over all our closest friends and family, or do we accept other invitations, in the hopes of not offending anyone by declining? Do people even get offended if you decline, or is this a glimpse into my possibly narcissistic personality? Whatever the case, 2016 seemed to have already decided where we would be spending our Christmas. Recently, in September of 2016, Loblaws corporation opened a new supermarket in Oliver, B.C. under the 'No Frills' banner. As a 26 year member of the Loblaws family, under the 'Real Canadian Superstore' supermarket banner, this recent opening should have had little to no impact on my life here in Vancouver, but it has! You see, Nadia's parents, Rosa and Joe, moved to Osoyoos, B.C. 13 years ago after retiring. The town of Osoyoos is a 10 minute drive to the 'No Frills' supermarket in Oliver, which is a much shorter trip than the 30 minute drive to the 'Superstore' located in Penticton, B.C. Rosa and Joe are so fond of the new 'No Frills' that they refuse to go back to 'Superstore', a point they are all too happy to express with me, whenever the chance permits itself. Nadia talks to her mother Rosa almost every day, usually around dinner time, so you can imagine how often I'm told about how great their, Rosa and Joe's, shopping experience has been. 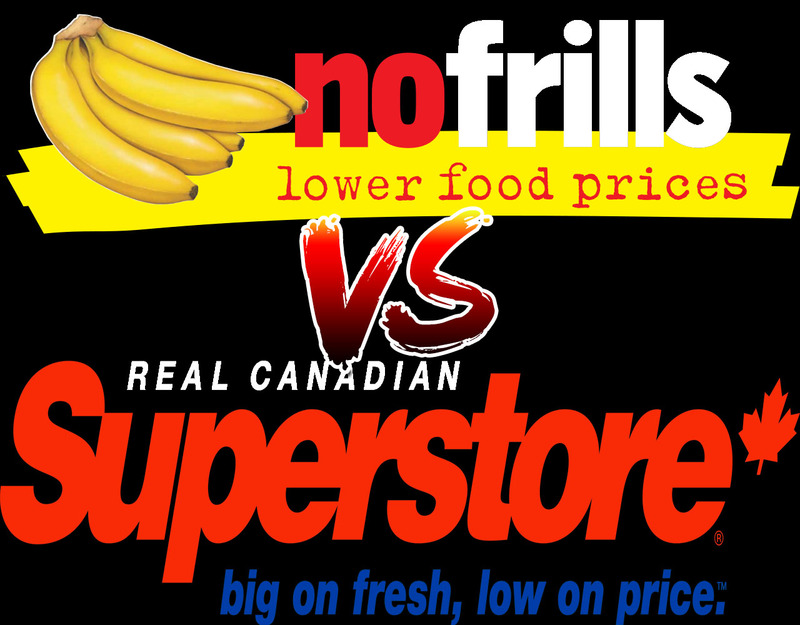 How the new 'No Frills' has better pricing than 'Superstore', or how 'No Frills' never has empty shelves, or that the lines at checkout lanes are shorter. Given the fact that the combined population of Osoyoos and Oliver is under 10,000 people and Penticton's population is over 30,000 people, it's understandable how 'Superstore' could have these logistical challenges. A few weeks before Christmas 2016, a horrific revelation had been made. The 'No Frills' in Oliver was unable to acquire panettone. 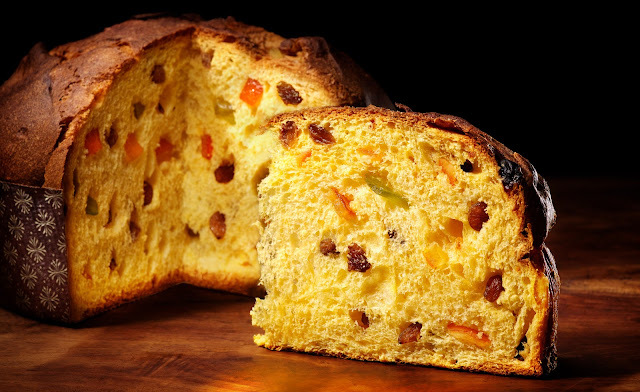 For the unknowing, panettone is a Christmas after dinner staple in the Italian home, to go without is almost sacrilegious. Maybe I'm embellishing, but in all my years on this earth, coming from an Italian home, we have never been without panettone on Christmas. Was this 'No Frills' misfortune just what I, and 'Superstore' needed to get into the good graces of Rosa and Joe? It had now become my duty, my mission, my goal, to ruin the 'No Frills' reputation in the eyes of Rosa and Joe. I continued to mock their blasphemous 'No Frills', gloatingly referring to how the 'Superstore' banner was much superior! Not only did 'Superstore' have shelves full of panettone, we had different brands... and different sizes. Was this silly, childish and juvenile, yes most certainly, but it also made for one heck of a prank if done correctly. Staying strong in their convictions, Rosa and Joe decided that rather than to lose face, they would celebrate Christmas without panettone, refusing to patronize 'Superstore'. The stage seemed set, at this point, Nadia and I would be going to Osoyoos for Christmas, and definitely bringing panettone. Rosa and Joe would never expect our arrival, as we had already informed them that we were attending Christmas Eve dinner at Nadia's brothers house in Surrey, and then my brothers house in Vancouver for Christmas dinner. Nadia has never been to her parents Osoyoos home for the Christmas holidays since her parents retirement. Due in part to the 4.5 hour drive through elevated, mountainous, weather challenged roads, and partly due to extended family obligations (Vancouver is more centrally located for our families). So we were going to surprise Nadia's parents for Christmas, but while that may have been enough of a prank for some, Nadia and I needed to raise the bar. In doing so, we came up with a plan, that would have us forge a letter from 'No Frills' and packaging it along with a panettone. The letter would be addressed personally to Rosa and Joe apologizing to them for ruining their Christmas by not having panettone available, as well as providing them with a free panetone for Christmas. Our plan was to arrive in Osoyoos, on Christmas Eve, early enough so as to place the panettone and letter at the front door, while Rosa and Joe were out at the pool for their morning exercises. Hindered by snow covered roads, our tardiness forced us to change our plans. Knowing that Rosa and Joe's neighbours were out of town, and that they often hire a house sitter, Nadia and I used this information to secure the perfect hiding place for our vehicle. Fortunately we had enlisted the aid of Nadia's sister, to help us precisely determine where Rosa and Joe were. Thanks to our spy network, we discovered that both Rosa and Joe were in the living room watching TV, which meant they would be facing the opposite direction of the front door. We now had our opportunity to place the package at their front door. Now that the package was set, we needed a plan to have Rosa and Joe answer the door. We enlisted a second spy to help, a good friend of mine, who called Rosa and Joe. By impersonating the manager from 'No Frills' our second spy informed Rosa and Joe, that 'No Frills' had sent out a delivery, and that the young new delivery person, may have left the package at the door without ringing the doorbell. Our second spy also informed Rosa and Joe that this package was being sent from head office, and he wanted to make sure it had in fact arrived safely. Convinced that he had sufficiently fooled Nadia's parents, my friend phoned us to confirm everything went as planned. And so we waited, and as expected after a few minutes (the time it would take to read a letter) Nadia's phone rang, it was Rosa. Rosa was freaking out at receiving a panetonne, wondering if we were responsible for this. Nadia informed Rosa that, after 26 years of service for Loblaws, I may have managed to pull some strings. Nadia also went on to tell Rosa that because it was so close to Christmas we weren't sure Loblaws could pull it off, so we didn't say anything. Nadia quickly ended the call saying we were out visiting others for Christmas and needed to get off the phone. Nadia and I now enlisted the aid of our third spy, Nadia's brother, getting him to call Rosa and Joe, to gauge their reactions. We waited a few more minutes and using our house keys proceeded to enter Nadia's parents home, ever so quietly. We could hear the enthusiastically charged conversation Rosa was having with Nadia's brother. Once we had reached the living room, we let out a cheer of "Merry Christmas!". Rosa and Joe were completely overwhelmed by our surprise, not only did we manage to sneak into their home, we had arrived for Christmas, with panettone in hand. Nadia and I went to Osoyoos with food well prepared in anticipation, so that there would be an abundance of food for Christmas. If you know Italian parents, they love to have an overabundance of food especially for the holidays. You may also know how upset they get if they don't have enough food when guests visit, so everyone can set their minds at ease. We had already anticipated this and arrived accordingly already knowing what Rosa was preparing for Christmas dinner. We are so sneaky, aren't we!